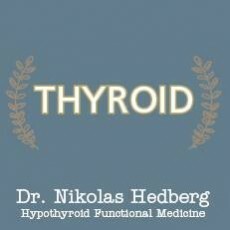 Does the Ketogenic Diet Cause Hypothyroidism? - Dr. Nikolas Hedberg, D.C. The ketogenic diet is currently sweeping the internet and the diet book world as the best thing since sliced bread for everything under the sun. Unfortunately, you can’t eat bread on the ketogenic diet and it really can be difficult to follow for some people. 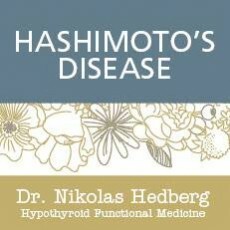 Since I work with many patients who have Hashimoto’s disease and hypothyroidism, I wanted to investigate whether the ketogenic diet can cause hypothyroidism or decrease thyroid function. Let’s jump into the research and see what it has to say. First let’s look at a study done on epileptic kids who followed a ketogenic diet since epilepsy was the first condition to be thoroughly studied and treated with a ketogenic diet. The first thing the authors point out is that we already know calorie restriction lowers T4 and T3 levels. The ketogenic diet mimics fasting so it makes sense that it could lower these thyroid hormone levels. They point out that the ketogenic diet is anti-inflammatory, anti-oxidative, and it balances neurotransmitters. In this study, 120 patients (63 male and 57 female) aged 4-10 were treated with a ketogenic diet for one year and their TSH, Free T4, and Free T3 levels were checked at 1, 3, 6, and 12 months. 20 patients (16.7%) in total developed hypothyroidism within the first 6 months which required thyroid medication. 70% of the 20 patients who developed hypothyroidism were girls as expected. Hypothyroidism was defined as a TSH level greater than 5.0 uIU/L with normal Free T4 levels. TSH levels actually increased in everyone during the first month but dropped overall at 12 months follow-up. Free T3 levels however dropped significantly overall at 1, 3, 6, and 12 months. 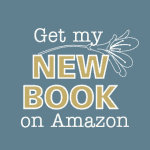 The interesting thing is that the authors state that none of the kids who were diagnosed with hypothyroidism based on the TSH test developed any hypothyroid signs or symptoms. It’s also interesting to note that any kid who had been taking fish oil 6 months prior was excluded from the study since we know that fish oil improves thyroid function. The authors point out the limitations of this study including lack of total T4 and total T3 levels as well as no testing for Hashimoto’s thyroiditis antibodies such as anti-thyroid peroxidase (TPO) and anti-thyroglobulin (TG) levels. Additionally, some of the kids were on anti-epiletic drugs which are known to disrupt thyroid function. I don’t see how this study found anything conclusive if none of the kids developed any symptoms and hypothyroidism was based on a TSH >5.0 in growing children. We already know that low-carbohydrate diets can work very well for fat loss such is the Volek study which had patients eat 8% carbs, 61% fat (calories from fat were 25% saturated fat, 25% monounsaturated fat, and 11% polyunsaturated fat), and 30% protein. Volek measured T4 levels which remained normal but didn’t look at T3 levels however but the subjects did extremely well with their weight loss. If thyroid function had decreased then it would have been difficult to lose weight. We know that cutting calories and losing weight will decrease T3 levels. Not only that, we know that fasting increases reverse T3 which knocks out T3 receptors. 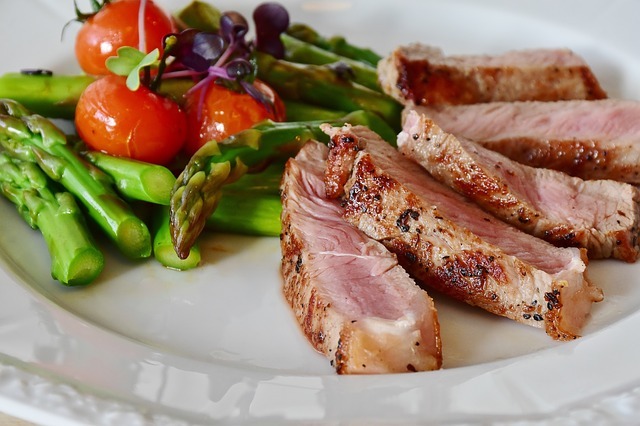 The ketogenic diet suppresses appetite quite effectively so many people just aren’t eating enough calories on the diet which will affect thyroid hormone levels. Why would T3 levels drop on a ketogenic diet? Eating carbohydrates increases T3 levels because that extra T3 is required to burn glucose produced from the carbohydrates. This is why you feel warmer after eating a meal with a lot of carbohydrates. On a ketogenic diet, you don’t need as much T3 because you’re not spiking glucose levels from carbohydrates. This means that your body is more efficient at metabolizing glucose on a ketogenic diet so you don’t need higher T3 levels. It’s simply an adaptation that isn’t a bad thing as long as you’re eating enough calories. 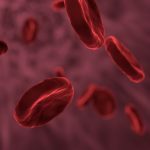 Are low T3 levels actually a good thing? The Leiden Longevity Study did show that lower T3 levels may be a good thing for living a long time compared to those with higher T3 levels. This is something that worries me when I work with patients who are taking T3 who haven’t investigated the potential underlying causes of lower T3 levels. About 15-20% of the population has a genetic difficulty converting T4 to T3 but the other 80-85% should be able to do fine with just T4. T3 is a powerful stimulator of metabolism so it can give the false sense of improved thyroid function when it’s really just artificially stimulating energy production. People who are taking T3 at high levels for a long period of time could potentially be shaving off some of the golden years. The Leiden Longevity Study was then looked at again regarding thyroid hormone and longevity and this study confirmed what was found previously. 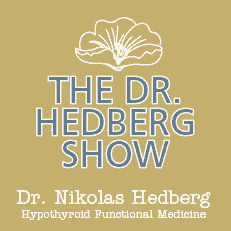 What’s the takeaway on the Ketogenic Diet and Hypothyroidism? Decreasing calories and losing weight on a ketogenic diet are the causes of what may appear to be hypothyroidism. Since hypothyroidism and Hashimoto’s disease are complex and complicated conditions, we can’t make simple extrapolations about a single type of diet for everyone. If you’re feeling colder, more fatigued, or having other hypothyroid issues on a ketogenic diet, first take a look at your caloric intake and make sure you’re eating enough calories. The ketogenic diet can really kill your appetitie so be careful. Also, take a look at your fat sources. Studies have shown that polyunsatured fats from corn, soy, canola oil (rapeseed) and safflower oil inhibit thyroid function. In fact, these polyunsaturated oils were once proposed to treat hyperthyroidism. Make sure your fats are coming from healthy polyunsaturated fat sources like fish oil, flax seeds, chia seeds etc. and balancing them with healthy monounsatured fats from avocado and olive oil as well as some saturated fat from butter or coconut. Additionally, make sure you’re getting about 25-30% of your calories from protein. Protein has a thermic effect on metabolism so don’t go too high on fat and too low on protein. One other thing to note is that the ketogenic diet is inherently low FODMAP. This is great for those who have SIBO (small intestinal bacterial overgrowth) but a low FODMAP diet can reduce the diversity of your gut microbiome which may not be a good thing for certain individuals who already have severe dysbiosis. You may want to eat some fermented foods like kim chi and sauerkraut as well has fiber-rich vegetables on the ketogenic diet to maintain healthy gut microlfora diversity. 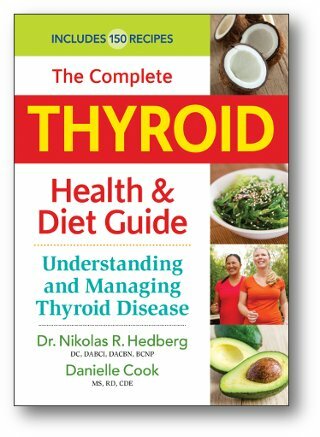 I hope this allays any of your concerns about the ketogenic diet and thyroid function. Be sure you work with an experienced healthcare practitioner if you are going to try the ketogenic diet if you have a thyroid problem.